Our Wine Glass Writer Business of the Week is Landmark Vineyards. 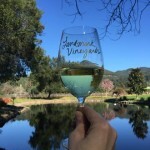 Located in the foothills of the Mayacamas Mountains in Kenwood, California, beautiful Landmark Vineyards offers daily tastings featuring signature wines that include small-production, winery-only chardonnays and pinot noirs. Landmark Vineyards was founded in the early '70s by a group of proprietors that included Damaris Deere Ford, the great-great-granddaughter of John Deere, inventor of the first steel plow. Shortly after moving to Sonoma Valley in 1989, Landmark began producing chardonnay exclusively and in 1991 created the first vintage of its flagship wine, Overlook Chardonnay. Landmark’s 1995 Overlook Chardonnay landed a spot on Wine Spectator’s Top 100 List, the first of six times for the chardonnay. In the mid '90s, Landmark produced its inaugural vintage of pinot noir and in 2014 released its first Overlook Pinot Noir. 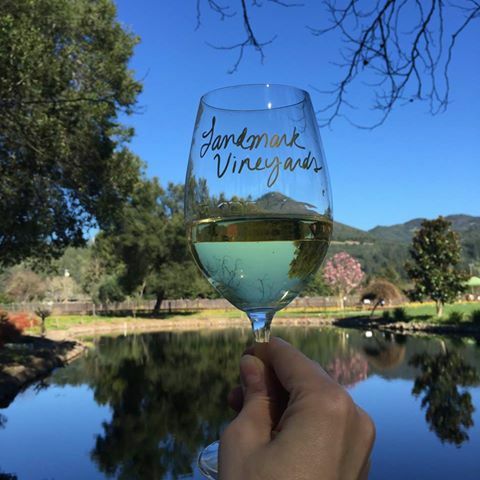 We love visiting Landmark for a midday picnic lunch and tasting of their wonderful chardonnays or a tour of the estate via horse-drawn carriage! The stunning grounds include a pond, vineyards, lots of flowers and trees, a large patio, and a bocce court. Grab your favorite person, or a group of friends, and spend some time enjoying everything Landmark has to offer, including their fantastic wines! Landmark is open daily from 10 a.m. to 5 p.m. for estate tours, wine tastings, cheese and wine pairings, and lunch. Visit landmarkwine.com for details.